For the Byzantine Emperor, see Anastasios II. 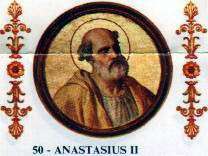 Pope Anastasius II (died 19 November 498) was Pope from 24 November 496 to his death in 498. He was an important figure trying to end Acacian schism, but his efforts resulted in the Laurentian schism, which followed his death. Anastasius was born in Rome, the son of a priest, and is buried in St. Peter's Basilica. The church had been in a serious doctrinal dispute since 484, between the Eastern and Western churches of Christianity, known as the Acacian schism. Pope Felix III (483-492) and Pope Gelasius I (492-496) had generally taken hardline stances towards the Eastern church and had excommunicated many of the major religious figures including Acacius, the Patriarch of Constantinople. Efforts at reducing the problem by Zeno were not recognized by Felix III or Gelasius I and so there was a large schism between the churches. Upon the death of Gelasius I, Anastasius II was named pope largely with support from a faction that wanted to improve relations between the West and the Eastern churches and end the schism. Upon being named pope, Anastasius II immediately sent two bishops to Constantinople to meet with the Byzantine Emperor Anastasius I, who had the same name as the pope, and work on an agreement to end the Acacian schism. Anastasius II indicated in a letter that he was willing to accept the baptisms that had been performed by Acacius and to let the issue be decided by the divine rather than by church authorities and Anastasius I seemed similarly willing to cooperate but wanted acceptance of the Henotikon, the compromise position developed by Zeno. As a signal of attempting to reduce the tension, Anastasius II was rumored to have given communion to Photinus of Thessalonica, an associate of Acacius. The result of these conciliatory gestures was to outrage many of the bishops and clergy in Rome and to create a clear division between those who supported moderation toward the Monophysites in the Byzantine Empire and those who opposed such moderation. Because of the communion with Photinus, many in Rome refused to receive communion from Anastasius II and the situation grew to a crisis point. At the peak of the tension created by these attempts to improve relations between the East and the West, Anastasius II unexpectedly died. For those who opposed his attempts at remedying the schism his death in 498 was seen as divine retribution. The factions that had formed during his rule as pope split decisively from one another and each appointed a rival pope. The faction against conciliation was able to name Symmachus as the pope to follow Anastasius II. However, the important Roman Senator Rufius Postumius Festus, who had been a major instigator for the conciliation attempts of Anastasius II and may have led to his naming as pope, supported a rival papal claim of Laurentius. The Roman church then had its own schism between different factions which made efforts at reducing the schism between the church in Rome and the church in Constantinople impossible. During the medieval period, Anastasius II was often considered a traitor to the Catholic Church and an apostate. The writer of the Liber Pontificalis, supporting the opponents to Anastasius' efforts, argued that Anastasius II's death was divine retribution and that he had broken with the church. Similarly, the Decretum Gratiani writes of the pope that "Anastasius, reproved by God, was smitten by divine command." This medieval view is described by modern commentators as a "legend", a "misinterpretation", a "confused tradition", and "manifestly unjust." ↑ Herbermann, Charles, ed. (1913). "Pope Anastasius II". Catholic Encyclopedia. New York: Robert Appleton Company. 1 2 3 4 5 6 7 8 9 10 Richard P. McBrien (1997). 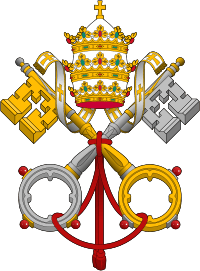 Lives of the Popes: The Pontiffs from St. Peter to John Paul II. HarperCollins. pp. 82–83. ISBN 978-0-06-065304-0. Retrieved 8 March 2013. 1 2 3 4 5 Morehead, John (1978). "The Laurentian Schism: East and West in the Roman Church". Church History. 47 (2): 125–136. doi:10.2307/3164729. ↑ John W. Barker (1966). Justinian and the Later Roman Empire. Univ of Wisconsin Press. ISBN 978-0-299-03944-8. Retrieved 8 March 2013. 1 2 3 Gratian; Augustine Thompson; Katherine Christensen (1993). The Treatise on Laws (Decretum DD. 1-20) with the Ordinary Gloss. CUA Press. ISBN 978-0-8132-0786-5. Retrieved 8 March 2013. ↑ Christopher I. Beckwith (2012). Warriors of the Cloisters: The Central Asian Origins of Science in the Medieval World. Princeton University Press. ISBN 978-0-691-15531-9. ↑ Schadé, J.P. (2006). Encyclopedia of World Religions. Foreign Media Group. ISBN 978-1-60136-000-7. Retrieved 8 March 2013. 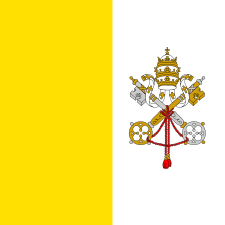 ↑ Earliest Pope not yet canonized by the Catholic Church. Liberius is revered as Saint Liberius the Confessor in Eastern Christianity, with a feast day of 27 August. Wikimedia Commons has media related to Anastasius II. 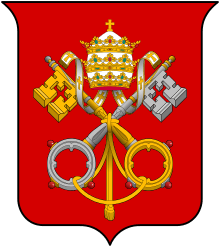 Wikisource has the text of the 1913 Catholic Encyclopedia article Pope Anastasius II. Brusher, Joseph. "Anasatius II". Catholic Culture. Retrieved 9 March 2013.